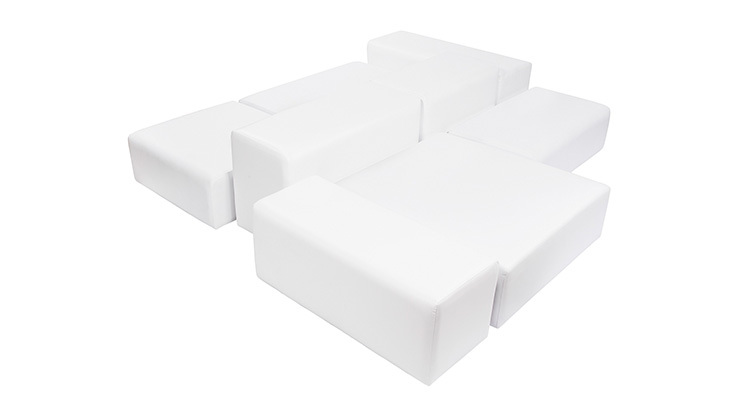 The Jigsaw Sectional is a series of rectangular pieces made of leather. Combine the pieces in different ways for a unique lounge setup. The Jigsaw Sectional is a part of the Jigsaw Lounge Grouping.